If you have a lost tooth and are looking for a permanent solution to replace the missing tooth, then you should consider dental implants. Dental implants are the most effective and permanent solution for your missing tooth. Yes, now you can replace one or more tooth in just one appointment. Dental implants are the ideal alternative to wearing dentures. Today, teeth implants are the most advanced technique of root form implants. Natural tooth root is replaced by an artificial root where teeth are missing. When it comes to dental implants in Sydney, there is a varying degree of quality. Manufacturer, construction and material are the three significant factors that influence the quality of dental implants. Speak with your dentist about the quality of implants you are receiving. However, Sydney dental implants which are made of premium quality titanium material are the best option. Titanium has been used for decades not only in implants but also in other medical devices including heart valves, artificial hips, and bone screws. The beauty of the titanium material is not only its remarkable non-allergic qualities but also it is biocompatible. Since it is a medical grade material, our immune system accepts this material and does not reject it. Titanium post integrates with the jawbone in a process called osseointegration which forms a sturdy foundation for holding the crown or bridge. Titanium is durable as well as lighter than gold alloys that make it perfect for patients who need a comfortable and secured dental restoration. Its low thermal conductivity reduces the risk of pain or irritation associated with hot or cold foods. The success rate of titanium dental implants are high and it can last longer if maintained properly. Even though the porcelain crown and titanium post of the implant will not decay as natural teeth, practising good dental hygiene is still essential. 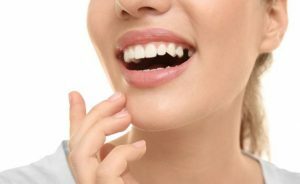 The dental implants cost in Sydney is affordable, and the following are the few tips to maintain your dental implants. While your jawbone and gums are healing, you will need frequent follow-up visits with your dentist. The regular visit allows monitoring of your dental health and ensuring that you are healing. During the visits, your dentist will give you tips on how to promote healing. Follow the tips strictly for a quick recovery. Brushing and flossing twice in a day can keep plaque and debris under control. Plaque can irritate the gum tissue that leads to gingivitis, the initial stage of gum disease. If the infection spreads to your jawbone, it can cause implant failure. So make sure you practice good oral habits. The right foods can not only help you heal quickly but also it is good for your overall health. Drink plenty of water and reach for fresh fruits, vegetables, whole grains and other protein-rich foods.